Der Band versammelt ausgewählte Interviews und Aufsätze des Architekturtheoretikers Werner Sewing, die zwischen 1998 und 2010 erschienen sind. Ihre thematische Bandbreite umfasst den Diskurs von Stadt und Gesellschaft, von Politik und Teilhabe, von Raummodellen und -bildern von Lebensstilentwürfen in Zeiten von Retrodesign, Eventkultur, Globalisierung und Digitalisierung. Werner Sewings kritische Analyse und Decodierung der Hintergrundstrukturen einer strategischen Leitbildpolitik seit der Postmoderne ist von aktueller Brisanz und Relevanz zur Bestimmung der Gegenwartsarchitektur. Der Band enthält Archivmaterial zu einer der ersten Bürgerinitiativen in West-Berlin gegen die Senatsbebauung am Winterfeldtplatz aus den 1980er Jahren. 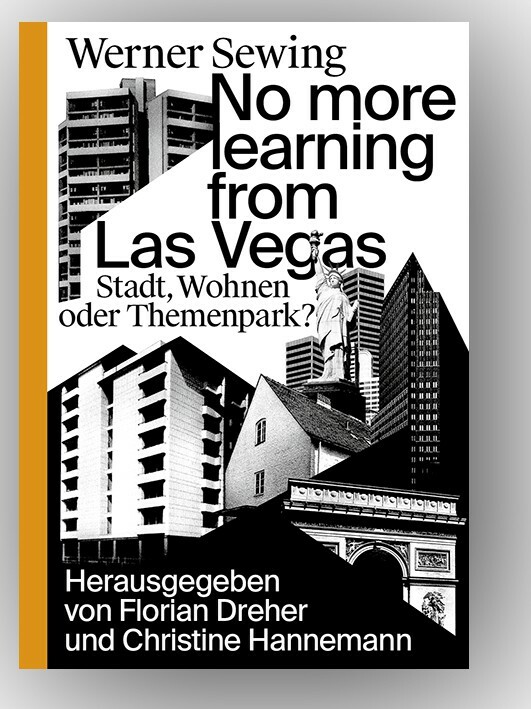 The book represents the ideas of the architecture theorist Werner Sewing in a selection of interviews and essays that were published between 1998 and 2010. Their broad range of themes covers the discourse on the city and society, on politics and participation, on spatial models and images of lifestyle concepts in an age characterised by retro design, event culture, globalisation, and digitalisation. Sewing’s critical analysis and decoding of the background structures of policy guidelines that have been strategically signifi- cant in the post-postmodernist period still carry a charge and are of particular relevance in defining contemporary architecture. The publication contains archive material relating to one of the first citizen actions in West Berlin in the 1980s protesting against the Senate’s decision to develop Winterfeldtplatz. Werner Sewing (1951 – 2011) was an architecture theoretician, who specialised in the sociology of architecture. He was a visting professor and guest critic at a number of institutions, including the University of California, Berkeley (2000), and the Architectural Association London (2001). In 2008, he was appointed Professor for Architectural Theory at the Karlsruhe Institute of Technology (KIT).